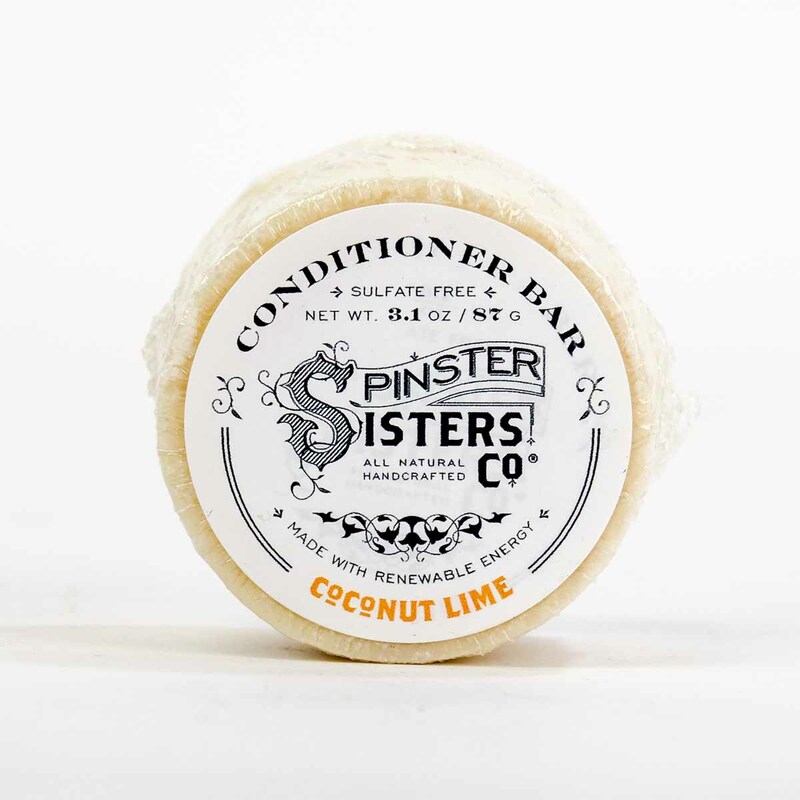 Conditioner Bar | Hair Care | Spinster Sisters Co.
What could be more luxurious than our Conditioner Bar? 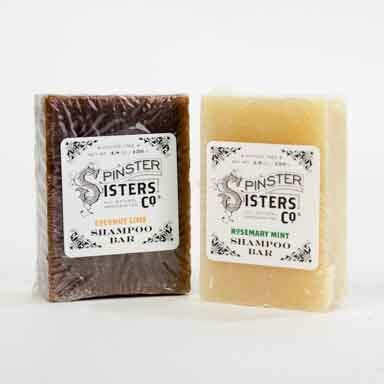 It's made with argan, coconut, and jojoba oils which are all key ingredients to hydrate a dry scalp and parched strands. 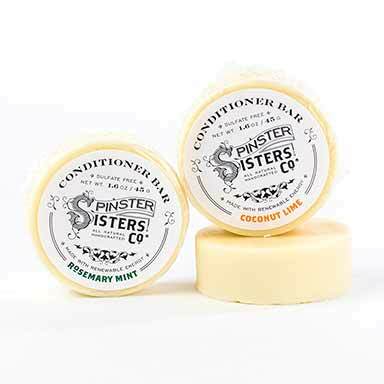 We add cocoa butter to gently detangle and deep condition hair. 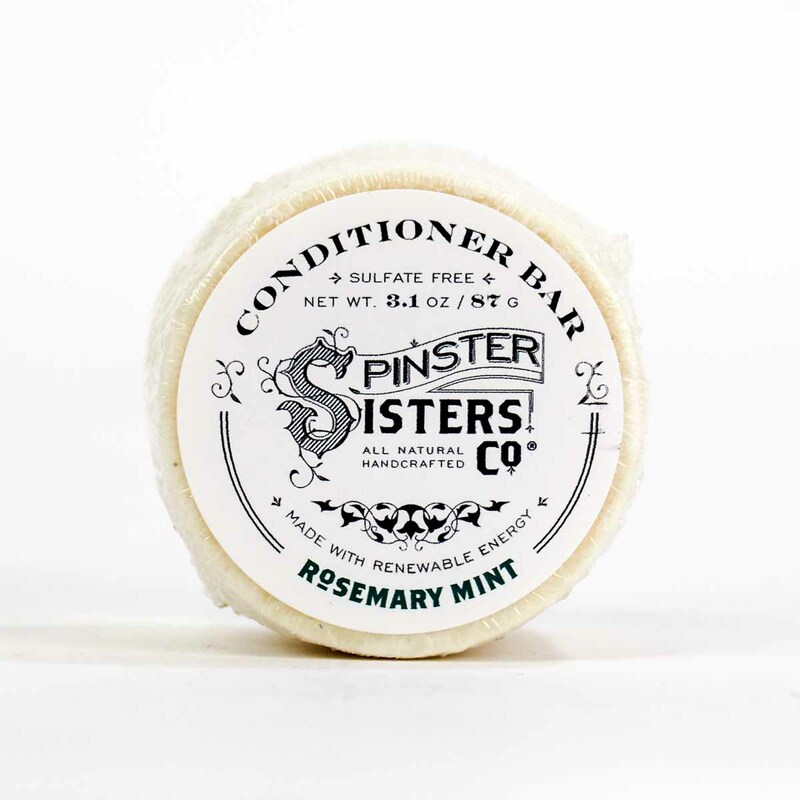 Each Conditioner Bar has a matching Shampoo Bar so you can complete your set of natural hair care products. Q: Is this a leave in conditioner? Or should it be rinsed out? Q: What does EO and EX stand for in your conditioner bars? EO means Essential Oil. EX means Extract (like vanilla extract). Cocos Nucifera (Coconut) Oil, Emulsifying Wax, Theobroma Cacao (Cocoa) Seed Butter, Simmondsia Chinensis (Jojoba) Seed Oil, Cetyl Alcohol, Argania Spinosa (Argan) Nut Oil, fair-trade Butyrospermum Parkii (Shea Butter) Fruit, Hydroxypropyltrimonium Honey (Honeyquat), Hydrolyzed Oats, and Essential Oil (EO) or Fragrance Oil (FR) [scent options note if EO or FR is used]. 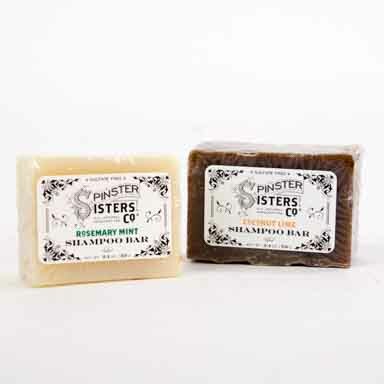 After shampooing your strands with our Shampoo Bar, gently lather the Conditioner Bar into the ends of your hair. Comb any excess onto scalp. Rinse. 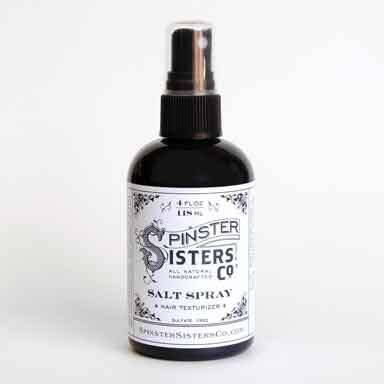 Style as desired or let it air dry, either way, your hair will shine and be tangle-free!